Paul's professional career began in January 1964. He started out as a jazz musician but went on to become best known as a member of legendary British rock band U.F.O. 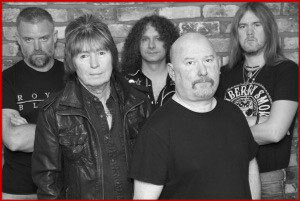 's classic line-up alongside Phil Mogg, Michael Schenker, Andy Parker and Pete Way. At the young age of 17 he was determined to make career in the music business by putting an ad in the music papers and going to all the pubs that had live jazz on. He began sitting in on a few numbers with the older, more experienced musicians. "I started really improving that way, by playing with lots of different people. I met up with Dave Green who, to this day, is still playing jazz and who is possibly one of the top bass players in the country - he continues to play at high-profile jazz venues such as Ronnie Scott's. Then I got invited to join a band called the Ian Bird Quintet. We ran our own jazz club at the Green Man in Blackheath every Sunday night. That was with John Heisman on drums and Tony Reeves on bass. They went on to form a band called Coliseum with the late Gary Moore. John Heisman also worked with John Mayall and Mick Taylor. That was when I really started to come on as a jazz player." 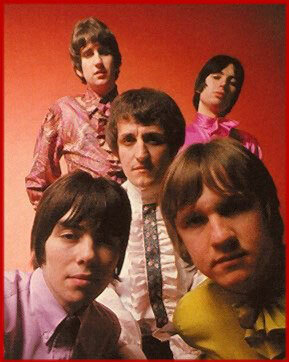 His first band was a pop quintette called Plastic Penny, formed in 1967 with Brian Keith on vocals, Nigel Olson on drums, Mick Graham on guitar and Tony Murray on bass. They released two albums, 'Two Sides Of A Penny' and 'Currency' and had a top-ten hit with a cover of the 'Box-Tops' song 'Everything I Am' before splitting up in late 1968 after appearing at the Isle of Wright Festival in August of that year. Then, after he heard that Christine Perfect was leaving Chicken Shack to marry John McVie, Paul answered their ad in Melody Maker, and auditioned for her place. Nigel Olson was kind enough to help manhandle the Hammond organ to the audition and Paul was subsequently offered the job. 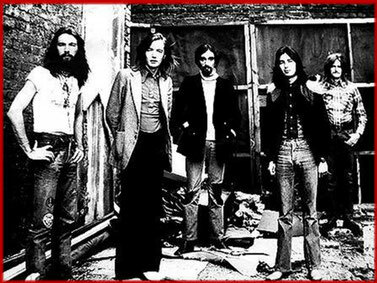 After recording the album '100 Ton Chicken' it was decided that the band should take a new direction, but the resulting album 'Accept' was not successful and the band was dropped by their record company Blue Horizon. Paul left Chicken Shack and both Andy Silvester and Dave Bidwell followed on shortly afterwards to join him in blues band Savoy Brown. 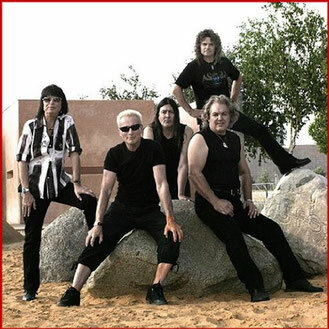 They were filling the gap that was left by former members Dave Peverett, Tony Stevens and Roger Earl who had deserted guitarist Kim Simmonds to form the band Foghat. His tenor with Savoy Brown lasted from 1971-1976 encompassing 6 albums, including 'Street Corner Talking' & 'Hellbound Train'. During this period of relentless tour schedules and various line-up changes the band enjoyed major success in the USA, breaking into the Billboard Top 100 and playing prestigious venues such as Madison Square Garden. as Chicken Shack were 100% blues." during a tour of the States, I met Pete Way!" "We were playing on the same bill with UFO, who were opening the show. Nazareth were headlining and Savoy Brown were somewhere in the middle. Danny Peyronel was playing the keyboards for UFO back then, and after the show, Pete and I got talking. He said that they were looking to make a change in the line-up because Danny didn't play guitar and they needed someone to play rhythm guitar as well as keyboards to enhance their live sound, so he asked me if I would be interested in joining the band." When U.F.O. returned to England, Paul took part in an official audition to see if he was a good 'fit' with the other band members and then they went straight to Germany to play some shows with Rainbow. This particular incarnation of U.F.O. 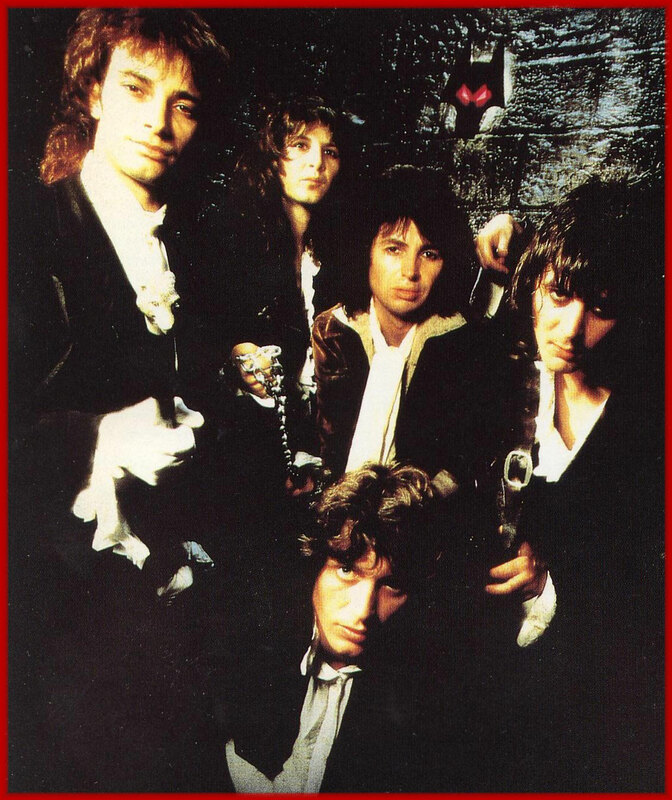 is now referred to as the "Classic" line-up as it encompasses the period of time from 1977-1979 when the band was at the height of its success including the studio albums 'Lights Out' and 'Obsession' and one of rock music's most iconic live double albums 'Strangers In The Night', all produced by the highly acclaimed Ron Nevison. The band had, by this time relocated to Los Angeles. Paul wrote songs on both 'Lights Out' and 'Obsession', but due to a prior publishing deal, was unable to be credited for the song-writing. "Then there was 'Strangers In The Night'. That album kind of cemented our place in the rock hierarchy! 'Thin Lizzy's Live And Dangerous." "Michael thought his guitar sound was very thin and poorly recorded and in retrospective I have to agree with him, but for me, the special thing about U.F.O. is the sum of all the parts that make the whole thing work, the synergy between the musicians." 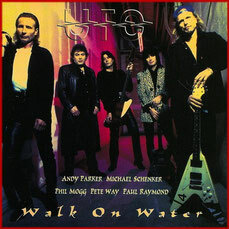 Guitarist Paul Chapman took on the unenviable task of filling Michael Schenker's shoes and the band went to record the album 'No Place To Run' with legendary producer George Martin at Air Studios in Montserrat. 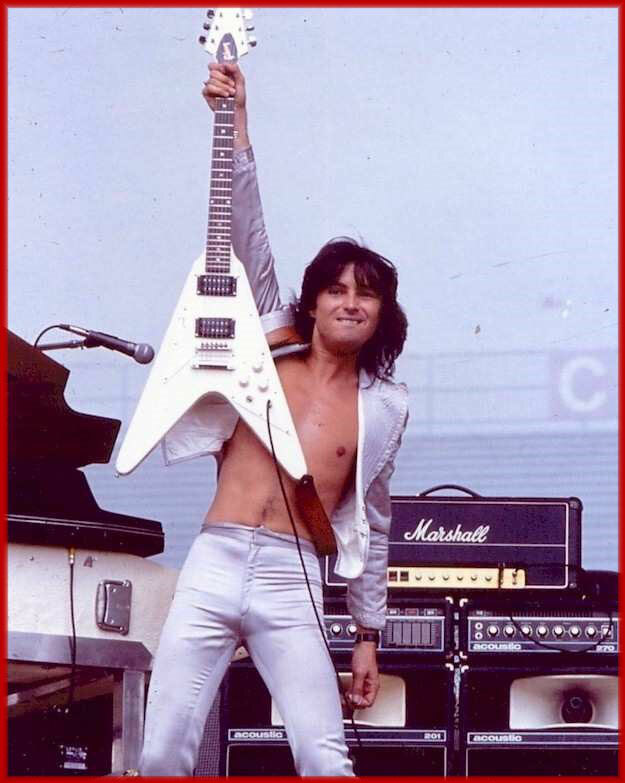 The album performed well, reaching #11 in the UK charts and #51 in the US Billboard but differences of opinion within the band were causing tensions and when Paul was offered the opportunity to join Michael Schenker's new band MSG, he decided to make the move. "I saw it as a wonderful career move." he was at the top of his game at the time, and he also had a great manager - Peter Mensch. I'm not sorry that I did - it was a good couple of years! and toured some more, especially in Japan as the band was very popular over there. The live album 'One Night At Budokan' came out of that." Paul was awarded two gold discs from EMI Japan in recognition of record sales for the albums 'MSG' and 'One Night At Budokan' and a silver disc from EMI UK for sales of 'MSG'. Following a non music-related altercation with Michael Schenker, Paul found himself 'surplus to requirements' and set out to look for other suitable musical collaborations. He spent a year working on a project with vocalist Terry Reid, using his own finances to help getting the project off the ground. But unfortunately there was no interest from any of the record companies. Coincidentally during that same time frame, Pete Way who had also parted ways with U.F.O. had secured a record deal with Chrysalis for his solo project, Waysted. He approached Paul to see if he was interested in joining him. because at that time he still didn't have a record deal, or go back and play with Pete again. Well the gut feeling at the time was that I should go with Pete. and I still feel pretty bad that I left Terry in the lurch." Sometime in 1984, after the demise of Waysted, Paul was approached by Phil Mogg to see if he was interested in re-joining U.F.O. as he wanted to put the band back on the road. It wasn't the original band, Phil and Paul were the only former members, but they recruited ex-The Damned bass player, Paul Gray, ex-Magnum drummer Jim Simpson and American guitarist 'Atomic Tommy' McLendon. "It was a memorable time!" "Looking back now, I have to say we had very happy times in Japan, I met lots of great people and actually made some good records too. I got a lot of things off my chest, recorded stuff I hadn't had a chance to record before and be boss and tell other guys what to play for a change! In other words I really enjoyed myself! The albums 'Under The Rising Sun' and 'Raw Material' had been recorded at that period of time. We played around Tokyo, Osaka, Kyoto and other major cities, it was great! The singer Aki Fukasawa was crazy about Rod Stewart, he spoke good English and he had a really English sense of humour which was fun. Guitarist Reibun Ohtani was also a good writer." With the backing of staging company Light and Sound Design, who provided the PA system and an impressively large lighting rig, the band hit the road with new material and a video recording was released of the show in Oxford, UK entitled 'Misdemeanor'. This sparked renewed interest from U.F.O. 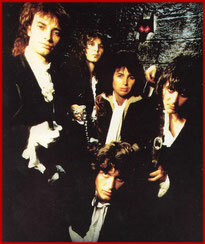 's original record company, Chrysalis and the resulting album also called 'Misdemeanor' was released in 1985. It was a complete departure from U.F.O. 's signature guitar-oriented sound, as midi keyboards and sequencers were the order of the day in the mid '80s. The band toured for a couple of years but all was not well. The ongoing, well documented problems of over-indulgence in the band and lack of communication was causing relationships to get strained. Mid-way through a particularly gruelling US tour, Paul couldn't take it anymore, he just snapped, and bailed out. 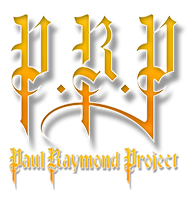 After moving to Japan with his Japanese girlfriend and starting a new life out there, he put together his own band the Paul Raymond Project initially comprised of ex-Angel vocalist Frank DiMino, bassist Masayoshi Yamashita (ex-Loudness) and guitarist Reibun Ohtani (ex-Marino). They recorded the 6-track mini-album 'Under The Rising Sun' in 1989 for Teichi Ku Records. The obvious geographical distance between Frank and Paul unfortunately meant that this line-up was not suitable in the long-term and eventually Paul established a touring band in 1991 with singer Aki Fukasawa and went on to record some more songs which eventually became the album 'Raw Material'. In 1993 Paul once again got the call to come back to U.F.O., this time for a reunion of the classic line-up. Michael Schenker had come back and wanted to reform the band. 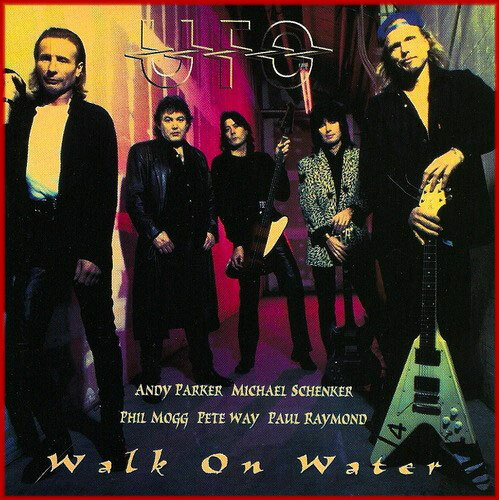 Japanese record company Zero Corporation offered them a recording contract and the result was the album 'Walk On Water', produced again by Ron Nevison in California. Initially the album was only released in Japan in 1995, but was subsequently repackaged and re-released worldwide in 1997. Paul did not contribute to the song writing on this album due to the death of his father in London at the time the album was being written. And by the time he returned the recording had already started. 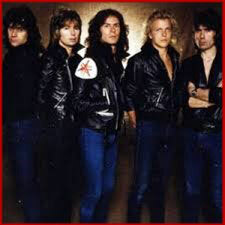 The band started touring with ex-AC/DC drummer Simon Wright who was replacing Andy Parker on the drums, as Andy had business commitments in the UK. But during a tour of the US, Michael Schenker once again quit the band. There was a period of downtime and then he came back begged forgiveness and asked if he could give it another shot. Manager, Bill Elson, stepped in to take control of the business side of things and once again the band started touring. Unfortunately, things again unravelled, this time at the Nakano Sun Plaza in Tokyo as Michael stormed off stage in the middle of a show in front of 3,000 people. The concert was cancelled and the promoter was livid. Paul decided it was the end of the road for him too. "It was a real low point." "I've never been able to find out the reason why he did what he did. end of it for me, I just didn't want to do it anymore, it was unforgivable and unprofessional and it did the band's reputation such a damage." Frustrated with the whole U.F.O. 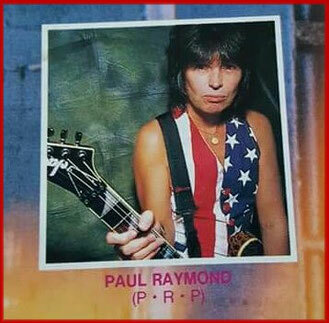 phenomenon, and by this time living back in the UK, Paul got together with a local guitarist Andy Simmons who played in a similar style to Michael Schenker. They began writing and recording music together over a period of months which became the 'Man On A Mission' album. Paul remarked that around this time he got disillusioned with rock music as it had changed and a lot of the current music didn't interest him. He found himself drifting back to the piano and jazz music - his first love. So he made the bold decision to sell all his equipment and in 2001 he became a resident pianist at a prestigious river-front hotel in central London, playing standards, jazz and popular music. Later on, in 2003 Paul also played piano in the Gloucester Casino and in 2004 in The Clermont Club, a casino in Berkeley Square, Mayfair. "But as usual the phone call came through!" I thought, WOW that sounds interesting. And so I thought, YES all right, let's give it another go." Jason Bonham left U.F.O. again after recording the two albums 'You Are Here' in 2004 and 'Showtime' a live album/DVD package in 2005. In search for a replacement Paul had suggested to give original drummer Andy Parker a call. So after an absence of 11 years Andy returned and the band recorded the 2006 release 'The Monkey Puzzle', which unfortunately was to become the last for original bass player Pete Way, who was suffering from serious health issues due to well documented long-term use of drugs and alcohol. For quite a while the band didn't have a permanent replacement for Pete but still continued recording albums and touring the UK, Europe and North America with occasional visits in Russia, Eastern Europe and South America. 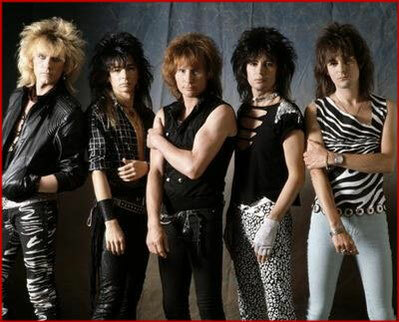 Since 2012 they regularly toured with American bass player Rob DeLuca, who eventually became part of the current stable line-up: Mogg, Parker, Raymond, Moore, DeLuca. Paul has continued to record with long-term friend and musician Andy Simmons, who is now re-located north of the border, releasing 'Virtual Insanity' in 2008. 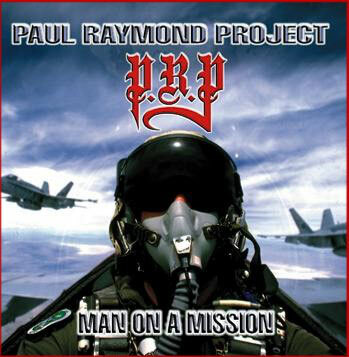 In 2013 he took his Paul Raymond Project to a next level, performing three live shows with Stampede's vocalist Reuben Archer, guitarist Rob Wolverton, Mark Coles on bass, Neil Ablard on drums and backing singer Andy Dodds to support the release of his album 'Terms & Conditions Apply' on Hear No Evil, a subsidiary of Cherry Red Records. In 2014 Paul was celebrating his 50th anniversary as a professional musician. Enough reason to record the 2015 release 'Rewind 50', a great reflection of his varied career. After three successful US-tours between 2016 and 2017, numerous tours in Europe and the release of their covers album "The Salentino Cuts" U.F.O. remained inactive during all of 2018. 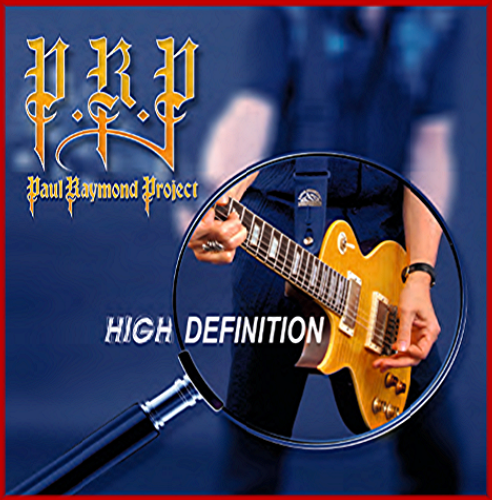 This was the perfect time for Paul to work on his very own covers album "HIGH DEFINITION". During the working process for "The Salentino Cuts" album Paul became really inspired to put a new spin on some songs that he always liked or thought it would be interesting to record them in a rock'n'roll way. Of course he had more ideas or even different visions than his U.F.O. 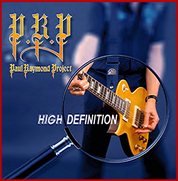 band mates so with the help of his PRP partners in crime, Andy Simmons and Dave Burn, he decided to make his own covers album named "High Definition", which he is very proud of. It was released on February 15th, 2019.